We challenge you to find a clinic that produces life-changing results this good! Dr. Waris Anwar individually customized surgical scalpels, which allows us to accurately match the natural look of your hair through a precise process. This technique has been recognized as the single most important breakthrough in hair transplant surgery since the concept of the follicular unit was put into practice. When using FUT extraction, Hairlife use the Trichophytic Closure technique for donor area closure, which greatly minimizes donor area scarring. The lower edge of the donor incision is trimmed and beveled which allows the upper edge to overlap. Our strip excision technique enables the most effective processing of extracted hair grafts and allows us to offer “Megasessions” where we can transplant more than 3000 grafts in a single surgical session. FUT has proven to be the most efficient, consistent and cost-effective method. 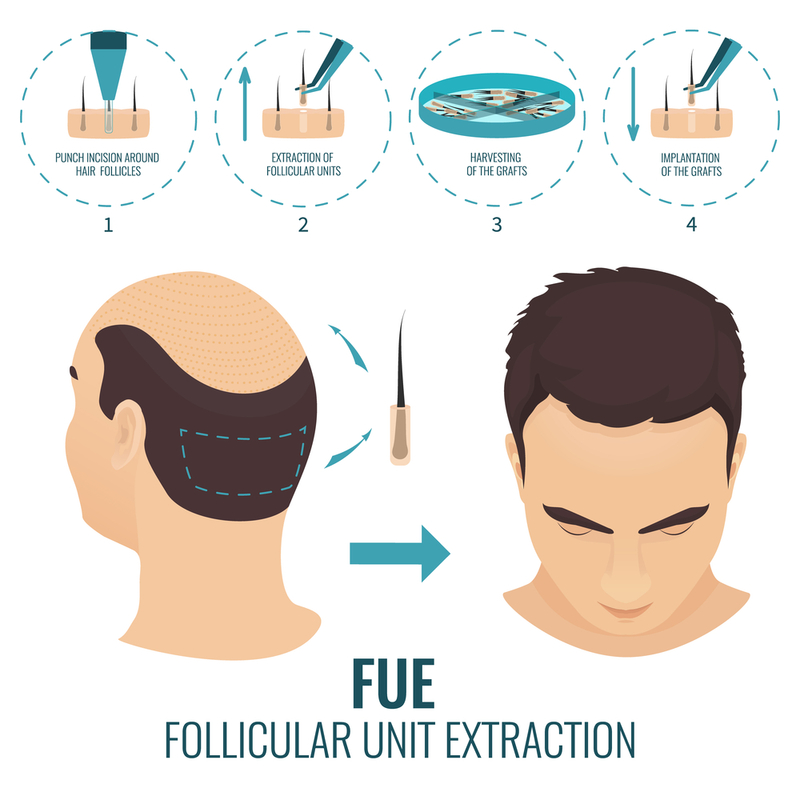 Follicular Unit Extraction extracts follicular units individually from a wider donor zone and is an option for patients who are not comfortable with FUT extraction. Hair transplants are an excellent, viable solution for most people and many types of hair loss. There are several factors we consider when assessing a patient’s situation including the current state of hair loss, the likely progression of loss, the availability of healthy donor hair, and the reasonableness of expectations. HAIR LIFE hair transplant and skin clinic, where world class hair transplant surgeon and technicians provide natural and undetectable results. Hair Life is providing its services since last 10 years, we are one of the Pioneer in the field of hair transplant in Pakistan and in making the natural hair line. Looking for an Effective Hair Restoration Technique? FUE is the One for You! The hair transplantation treatment has evolved a lot due to the technical advancements. The surgical process which is grabbing the attention of the people is FUE (Follicular Unit Extraction). Are you suffering from hair fall problem which is making you feel apologetic and in a quest for the clinic who are experts in performing this transplantation process? In that case, you must head towards the HAIR LIFE CLINIC! HAIRLIFE is a reputed platform which provides the qualitative service of FUE hair transplant in Pakistan. With a significant level of expertise in this forte, we have become one of the most reliable choices of the people for the FUE hair transplant in Pakistan. Safety of the patients is our priority, so we deploy secure method which is completely painless. After undergoing the FUE hair transplant, you will start seeing the results within few months and will leave no linear scar. The people who desired for volume in their hair will get their wish fulfilled post-treatment. If you are concerned about the pricing, then the FUE hair transplant cost in Pakistan is entirely under the budget of the people which they can avail without any hassle. Dr waris Anwar did graduation from Allama Iqbal Medical College Lahore. He did house job in Medicine and surgery from Jinnah Hospital Lahore then got his post graduate training in dermatology from Sir Ganga Ram Hospital Lahore. Location: 24 P, Mushtaq Ahmed Gurmani Road, Gulberg II, Lahore.